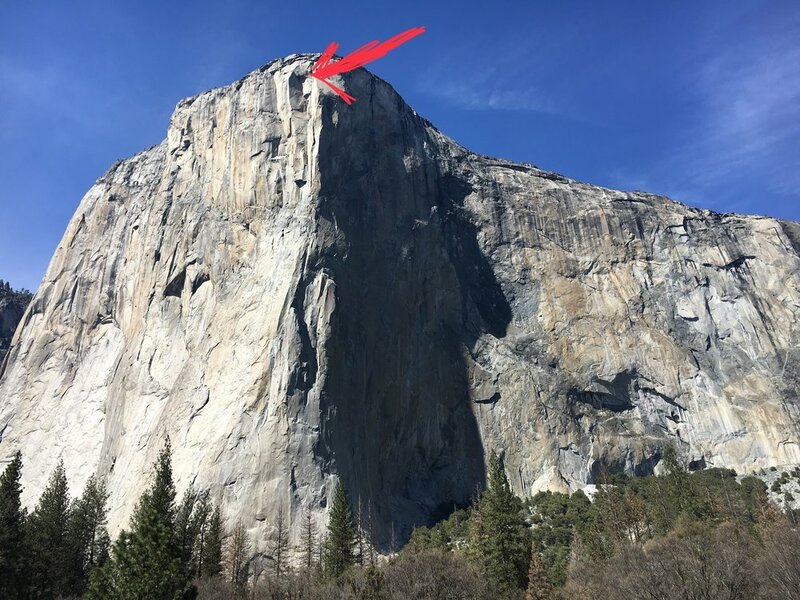 A year and a half ago, November 2016, I walked up to the base of El Cap for the first time and set my hand against the granite. My daughter, Alison, took this picture and I made it my profile pic. Babysteps. Meeting the Captain for the first time. 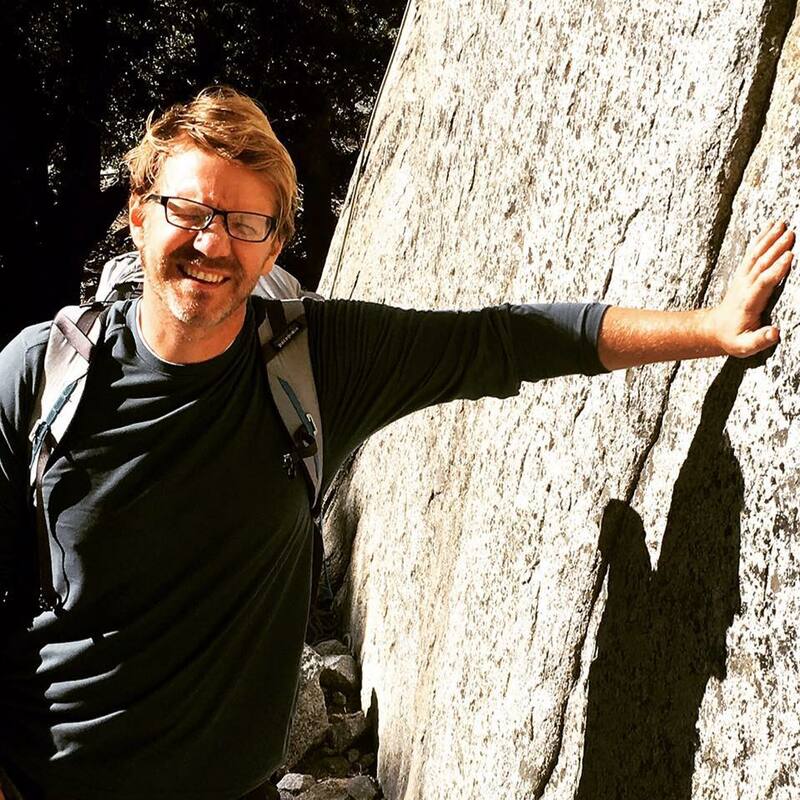 Fall 2017, I did my first big wall climb in Yosemite, Leaning Tower. It was a break through for me: 11 pitches. The Nose would be 31 pitches. A week later, I tried The Nose, but weather, speed and injuries forced us to bail. Some other time. 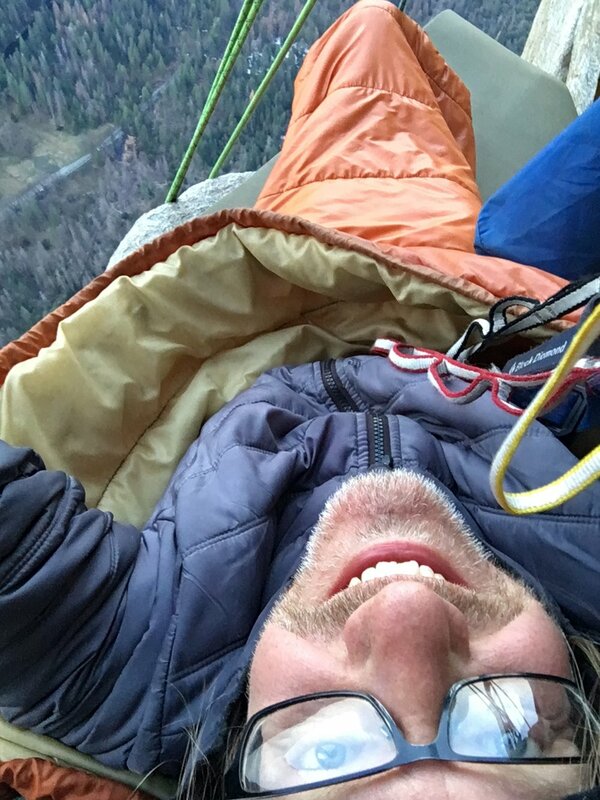 Our first bivy on Leaning Tower. A good start. We spent our second bivy in the portaledge. Super comfy. Six months later, April 2018, I came back. It was part of a plot twist as my family and I made our way to Hawaii. 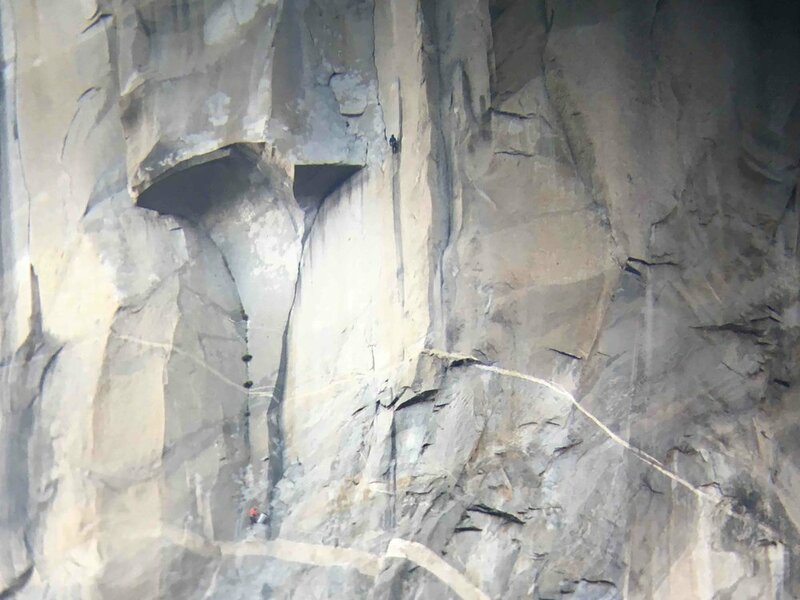 Floods kept us out of the park and forced all the climbers to leave. Once the floods subsided, we returned and I found two potential climbing partners. The first one was game to do the Nose, but within 24 hours, changed his mind. He wanted to practice more on something smaller. The other guy was stoked, but our calendars didn’t line up. We’d decided to do a cool but less ambitious climb in another part of the Valley, but even that got washed out by weather. My note posted on the board at Camp 4. It was raining a lot—it was spring after all. Not ideal climbing conditions. My family didn’t have campsite reservations past the rainy days. We were on our way to pick up Alison from the Fresno airport when I turned to Emily and said, “I think I just need to give up my big wall ambitions for this trip. We gave it a good try. Things just aren’t working out.” We’d made good decisions along the way, but things just weren’t lining up in our favor. I proposed we pick up Alison, finish out our camping reservations, head to the coast and drive Route 1/Big Sur until it was time for our flights to Hawaii. Emily thought that was a good plan. We were in Fresno, waiting for our daughter’s flight, when the text came in. “Hi Erik, are you still around? 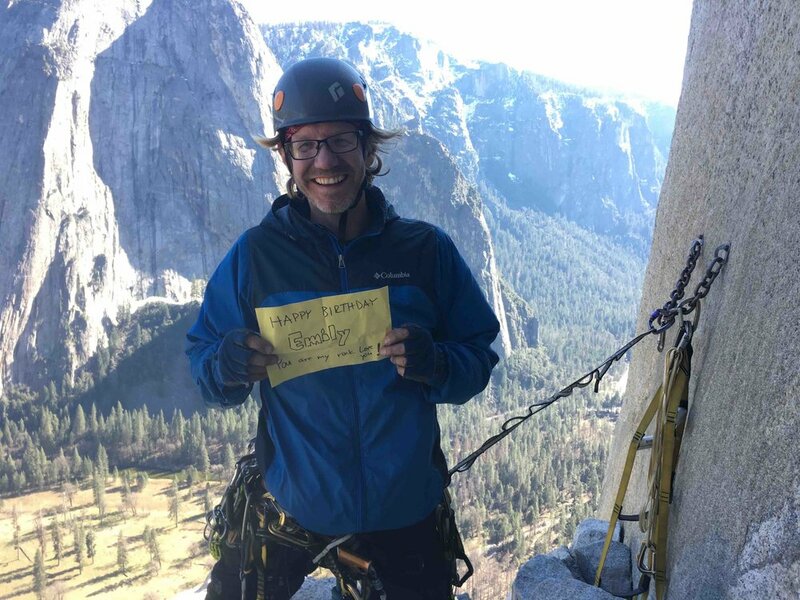 Saw your note about climbing. I might be up for the Nose...Josh” That was Sunday afternoon. Tuesday morning Josh and I met to climb something small. A get-to-know-you climb. 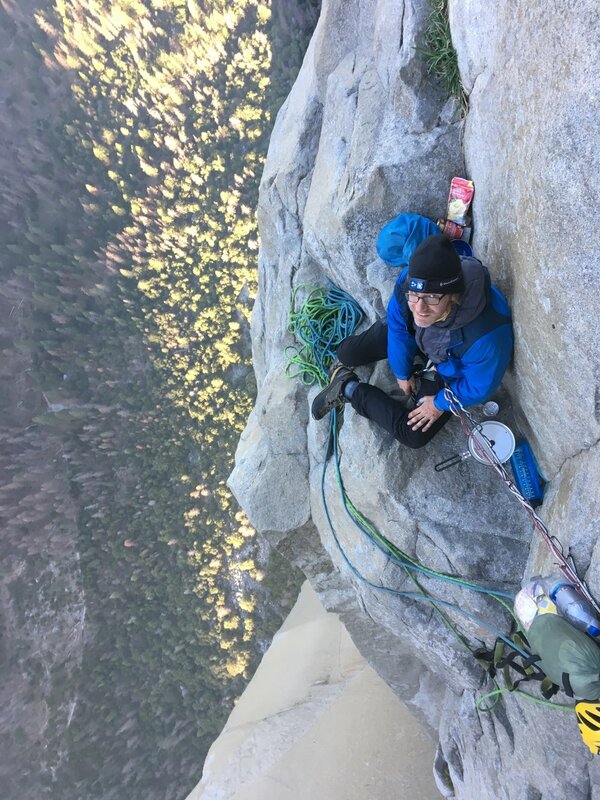 While leading the third pitch, I got into a spot that was wet and directly over a ledge. "I'm slipping," I called down to him. I was roped in, but worried I was going to fall and hit the ledge on my way down. "Just keep breathing," he called back up. It was good advice. I kept breathing, calmed down and pulled through the moves and got to safer ground. I liked this guy. 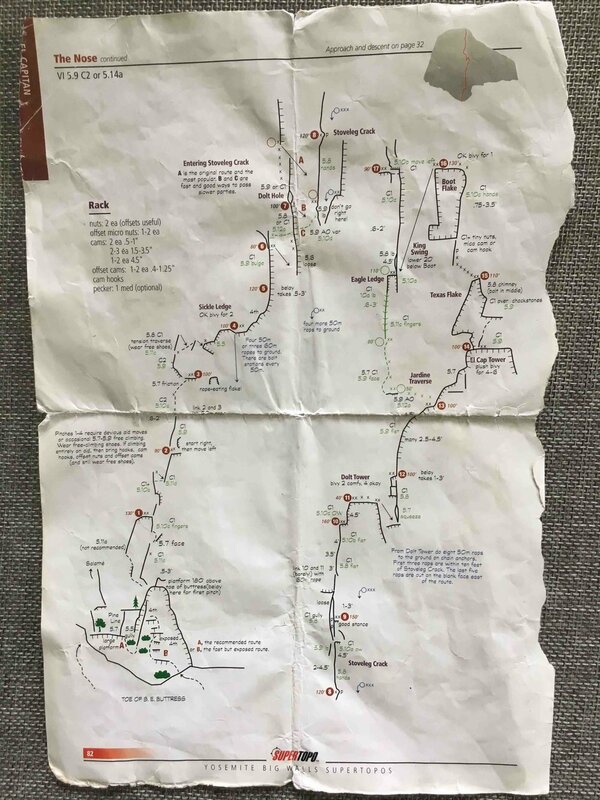 The maroon dots mark the belay stations (end of the pitch). 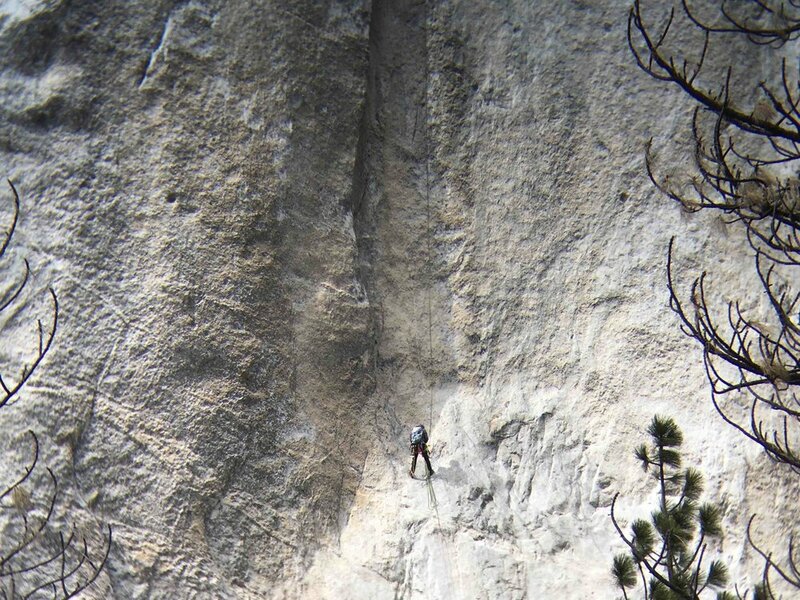 Connecting the dots: The Nose is 31 pitches, ending at the pine tree on top. That afternoon--once I'd plied him with brownies--we decided to go for The Nose. We sorted gear that evening, packed our food and water the next morning and ferried our first loads up to Sickle Ledge (~500’ up) that afternoon. It was Wednesday. We sat out some rain on Thursday, but Friday at 4am we were up and at it. We had a ton of fun. The pace was steady and we worked hard, but we laughed a lot. It was nice to climb with someone who knew how to enjoy the climb and not just grind. 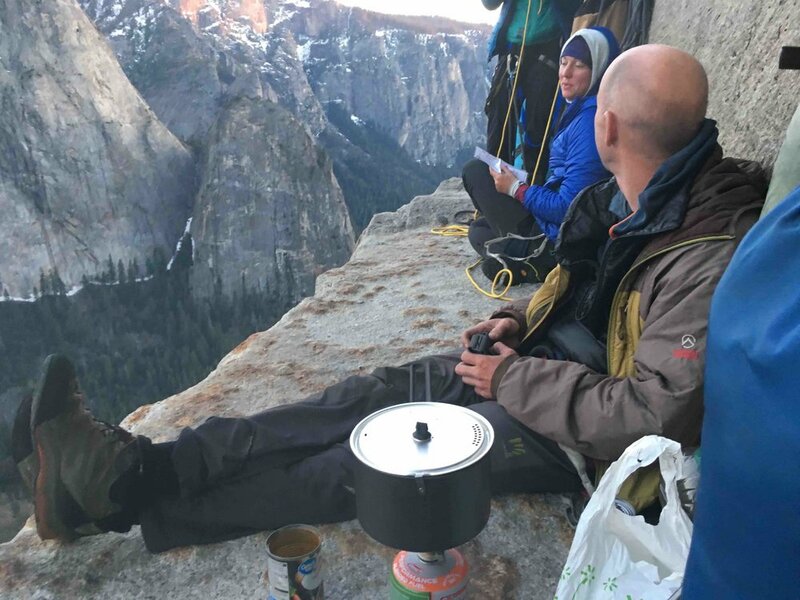 The first day we climbed 10 pitches above Sickle Ledge and made it to El Cap Tower in time to enjoy the evening, heat up some soup and watch the sunset. The next day we climbed Texas Flake, The Boot Flake, Josh did the King Swing, and we pushed on through the night up to Camp V where we slept on scattered ledges. 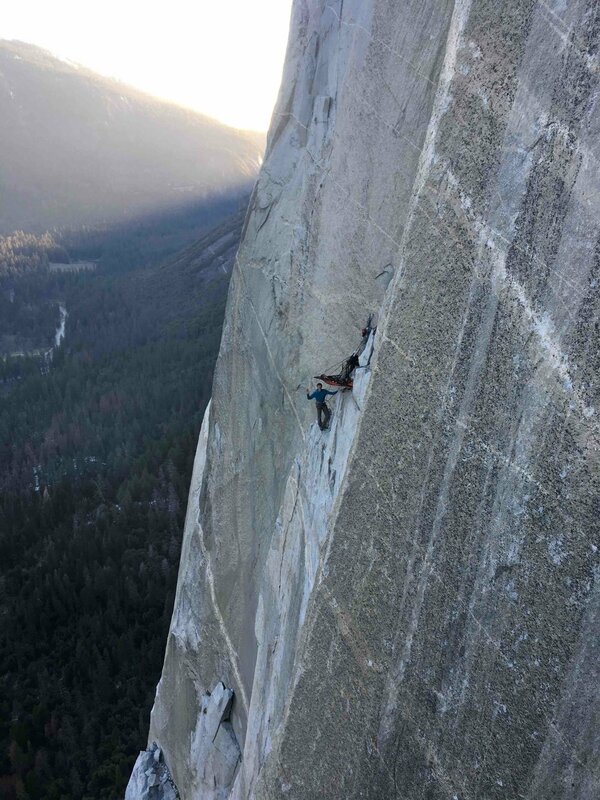 The last day I led The Great Roof, a pitch called Changing Corners and then Josh led us through the last large overhang, and from there I led the easy face climbing to the top. We climbed for three days and two nights, stuck to our plan and topped out with enough daylight to eat our leftover food and walk down in the dark. 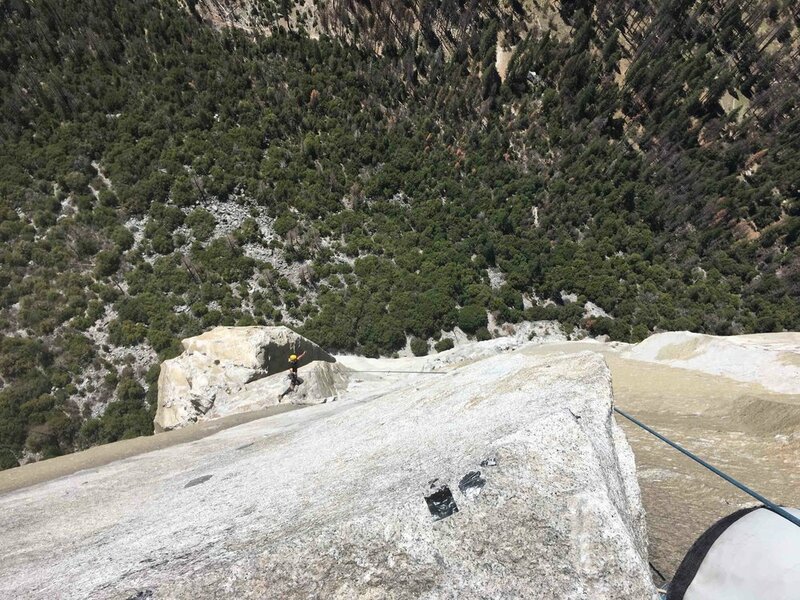 This was his eleventh ascent of El Cap. It was my first. As I look back, I see how little things add up. 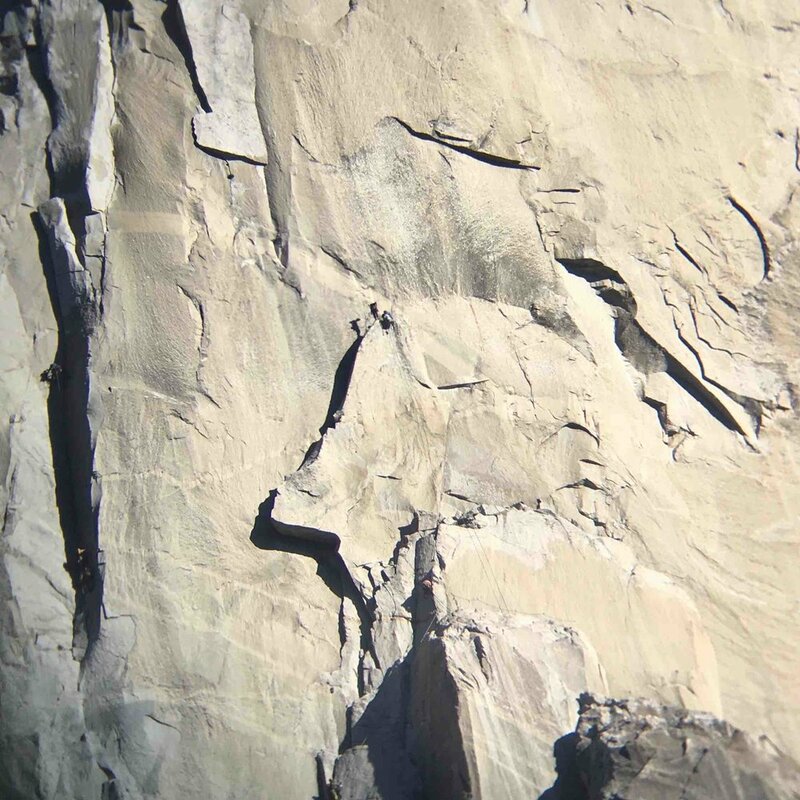 I first went to El Cap just to see it and touch it. I made it real to me. Then I came back with my family and climbed a big wall. An important baby step. Then I tried the Nose but failed. But I learned how to start. Then I came back and succeeded. 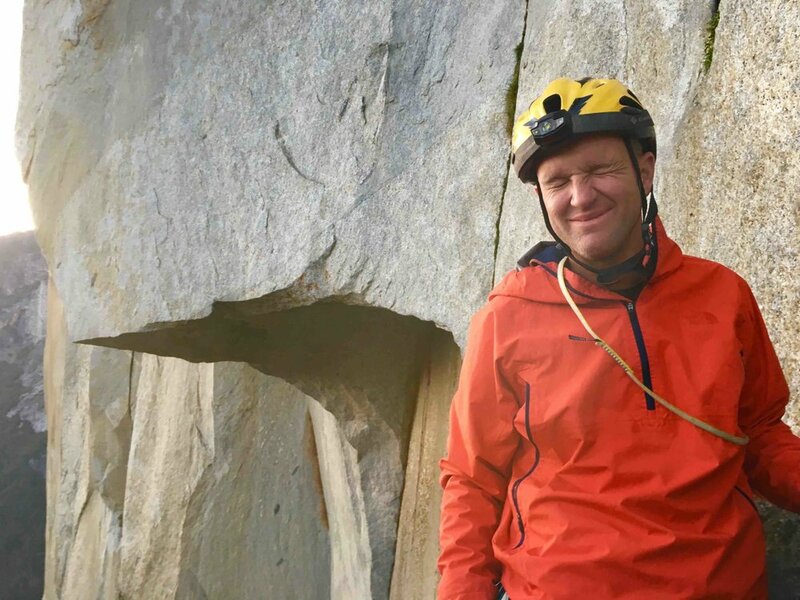 I was in the right place at the right time to climb with the great partner with great weather. Looking back, the dots connected. Ferrying water and gear to the base. Trying to look cool hanging with other climber dudes, talking beta. Josh in red catching the morning light. Hauling the pig. Good times. 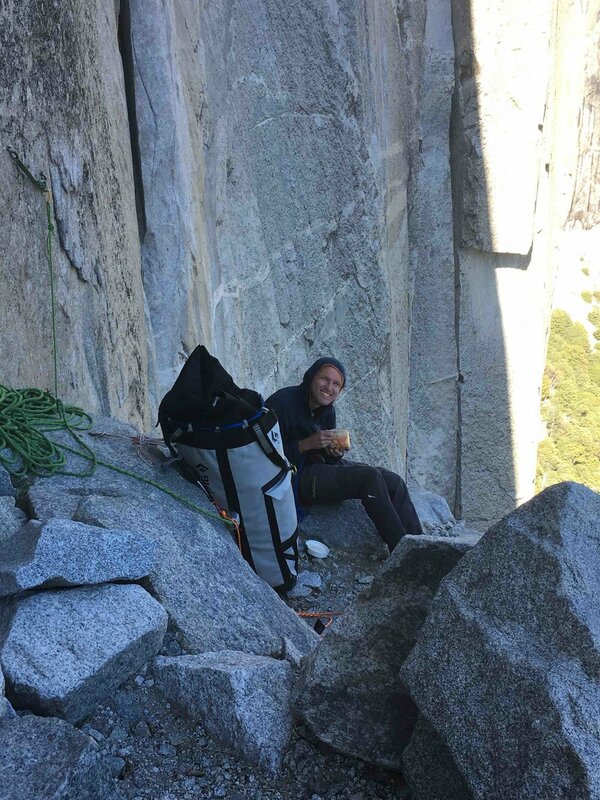 Josh sneaking a snack on top of Dolt Tower. Sending Emily my love from Dolt Tower. El Cap Tower. Check out the haul bag. Can you see the matador with the funny face wearing underwear? Our neighbors, Brandon & Kristoffer, working on putting up a new route. Sunset view of Middle Cathedral, across the Valley. Josh heating up dinner. Rebecca and Andrea were climbing the same route. Having a good laugh on top of Texas Flake. 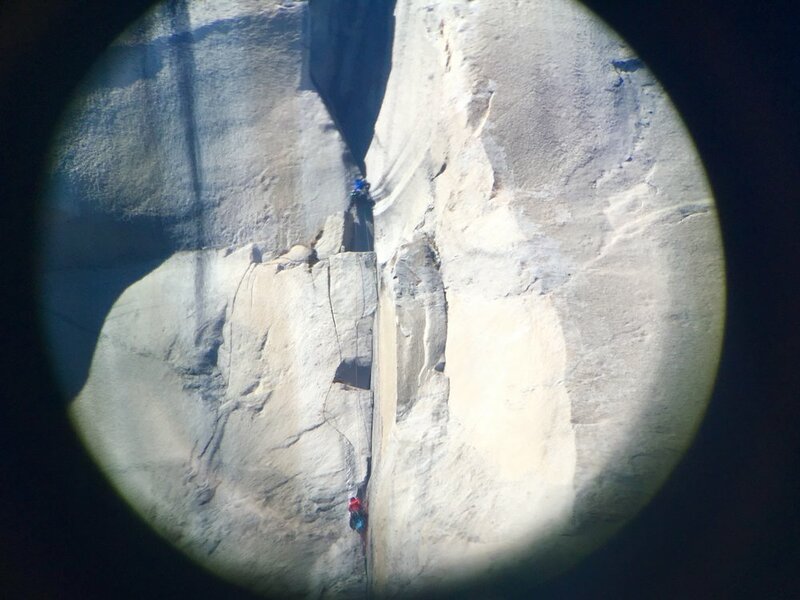 Josh and I on Texas Flake as seen through binoculars from the Valley floor. 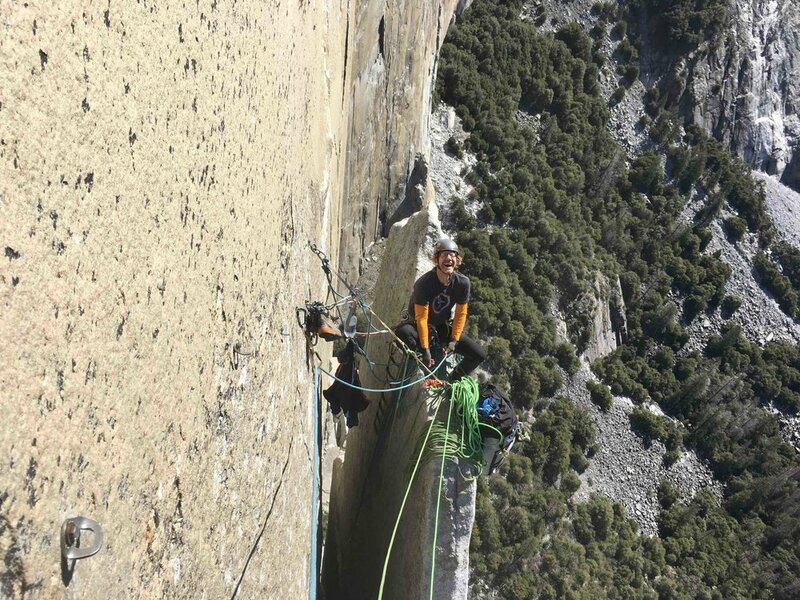 Josh on top of Boot Flake; me jugging up the line below. Josh swinging like a King. 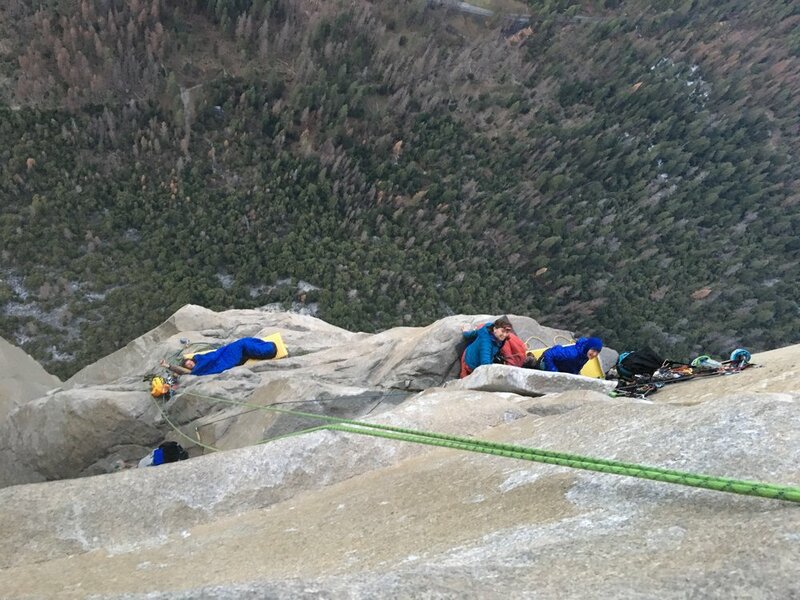 The sea of granite that is El Cap. The Great Roof. Erik (blue) at the belay above and Josh (red) at the belay below. Josh after seconding the Great Roof. Emily keeping an eye on her climbers. 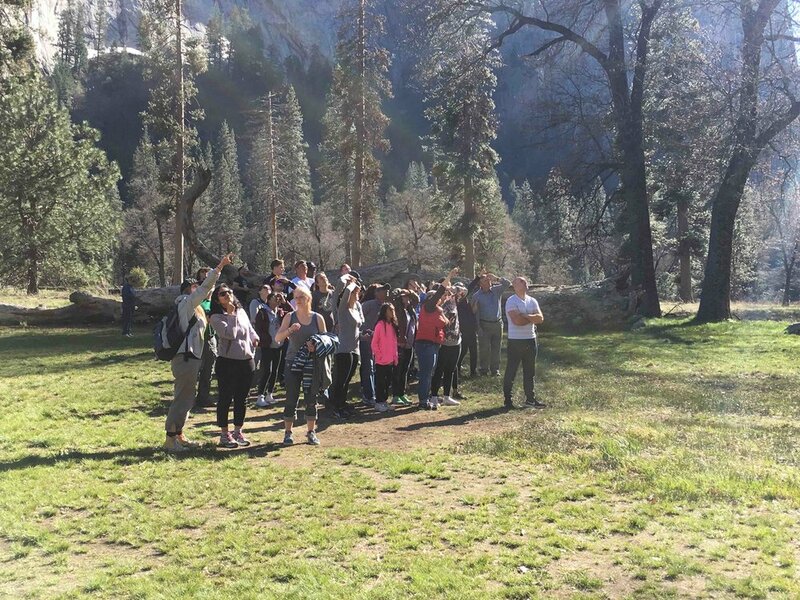 Alison and Jane became defacto tour guides in the meadow. “You know someone up there?” became the common disbelief. I loved my little ledge. Blue and red working their way upward. The pine tree of glory. Good thing Josh was there. I could barely stand after the descent.